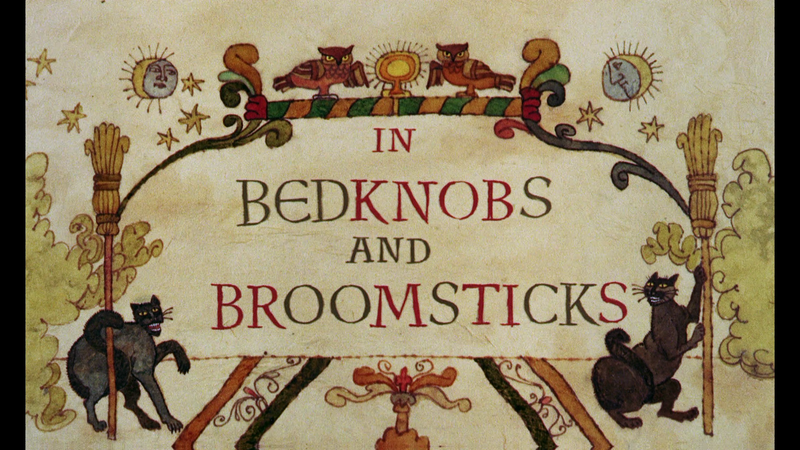 Bedknobs and Broomsticks, while having its fans, isn’t the most well-known Disney musical taking a backseat to the likes of Mary Poppins, but it’s still fun and energetic led by the wonderful Angela Lansbury along with some nice musical numbers. 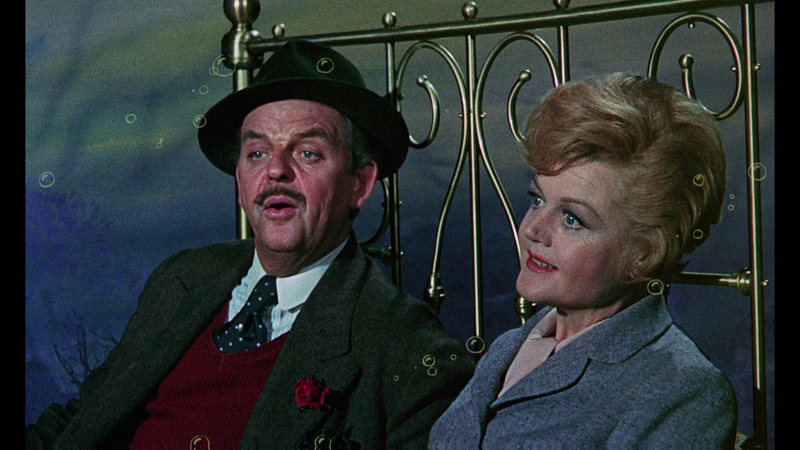 Bedknobs and Broomsticks stars Disney legends Angela Lansbury as Miss Eglantine Price and David Tomlinson playing Emelius. Eglantine Price is an apprentice witch who reluctantly takes in three orphaned children: Charlie (IAN WEIGHILL), Paul (ROY SNART) and Carrie (CINDY O’CALLAGHAN). Though her first spells create more laughs than magic, Miss Price and the children soon find themselves swept away aboard a fantastic flying bed – their ticket to fun-filled excitement and adventure. This release comes with a glossy, slightly title embossed, slip cover. Inside the case is a standard DVD Copy and a redemption code for the Digital Copy. 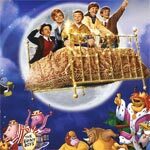 Music Magic: The Sherman Brothers (20:42) is an interesting profile on the brothers and their work on Bedknobs and Broomsticks, born out of the success of Mary Poppins. Deleted & Extended Songs (23:54) include five songs that were not used in the movie or at least cut down. Deleted & Extended Scenes (10:06) has eight scenes trimmed or removed for one reason or another, though presumably for pacing reasons. David Tomlinson Recording Session (1:10) is fairly interesting with footage of the star singing the final song in the movie. Disney Song Selections (20:40) allows viewers to go straight to the musical numbers. The Wizards of Special Effects (8:06) is geared toward kids with the host, who was on “The Wizards of Waverly Place”, looking at the special effects used in the movie. Theatrical Trailers (9:09) – Four trailers have also been included. 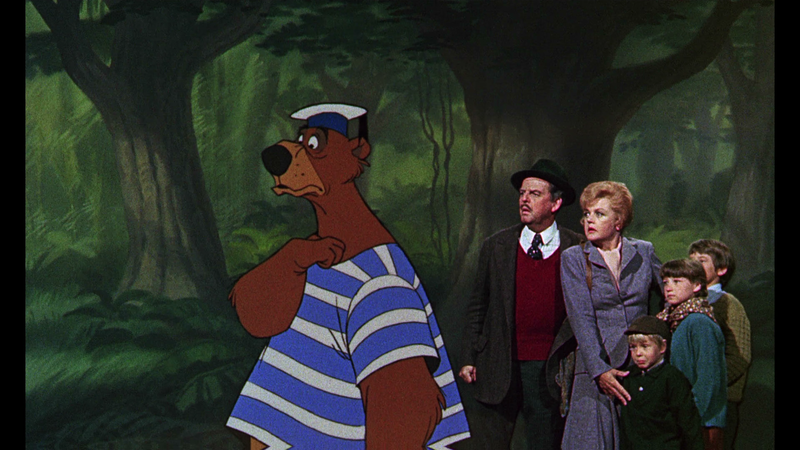 Bedknobs and Broomsticks sweeps in on Blu-ray presented in its original 1.66 widescreen aspect ratio. The 1080p high-definition transfer looks fantastic with vibrant colors, excellent detail levels and skin tones appear to be natural. Also, I didn’t notice any obvious signs of artifacting or pixilation making for a wonderful transfer done by Buena Vista. The movie comes equipped with a 5.1 DTS-HD Master Audio track which, while hardly expansive, is acceptable. The majority of the action takes place through the center speaker from dialogue to on-screen elements; where the front and rear channels kick it into gear is with some of the music but that’s about it. Although it’s nothing astounding, when you consider the source material, I found it to be a fine transfer. 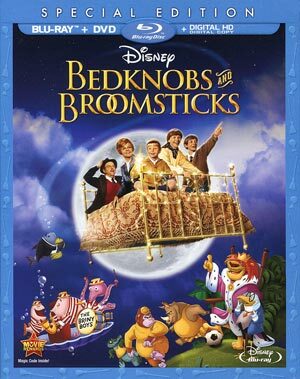 Overall, Bedknobs and Broomsticks, while having its fans, isn’t the most well-known Disney musical taking a backseat to the likes of Mary Poppins, but it’s still fun and energetic led by the wonderful Angela Lansbury along with some nice musical numbers. The Blu-ray released by Disney offers up an excellent video transfer while the audio is good enough. The bonus material included isn’t terrible however nothing extraordinary or all that in-depth.